The 3D Mono Science and Math topics for grades k -12 is now available online, the entire library of 3200+ topics. Teachers and students can interact with these topics 24/7, enhancing the teaching and learning experience. The animations are proven and effective - over 14,000 schools are using these animations across the world and popularity is growing here in the USA. Each online topic comes with multiple learning resources - animated videos, simulations, interactive virtual labs, quizzes, images, text, web-links, glossary and key-terms. These animations and virtual labs are a perfect learning tool for students. Virtual Labs: These animations and interactive simulations can be used as virtual labs. There is no need to setup experiments in the labs. These animations and interactive simulations can easily replace them. Students will get a ‘virtual hands on’ experience. Teacher Licenses: Schools can purchase online licenses in bulk and make them available to each teacher in the school or district. This way each teacher can uses animations and virtual labs as a teaching aid in the classroom. It will make the teacher’s job easier. Student Licenses: Students can purchase individual licenses and use the wide range of online animations and virtual labs as a reference or revision tool. They can use these animations anytime and anywhere. This will enhance their learning experience. 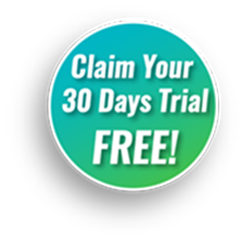 Contact us for a demo. In the demo, we will show you samples and answer any questions you may have. The demo takes about 30 minutes. 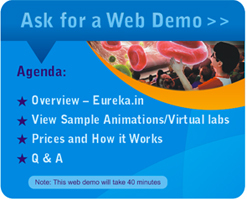 Register today and check out the quality and depth of the 3200+ animations and virtual labs. We have 1777 3D Mono Science and Math animations and modules for high school teachers to use as a teaching tool for their students. Here is a summary overview of the topics covered for high school Science and Math. Please contact STAM and we can send you a detailed listing of all the topics covered. We have 986 3D Mono Science and Math animations and modules for middle school teachers to use as a teaching tool for their students. Here is a summary of the topics covered for middle school Science and Math. Please contact STAM and we can send you a detailed listing of all the topics covered by these high-resolution animations. We have 459 3D Mono Science and Math animations and modules for elementary school teachers to use as a teaching tool for their students. Here is a summary of the topics covered for elementary school Science and Math. Please contact STAM and we can send you a detailed listing of all the topics covered by these high-resolution animations. or have any other questions.